Editor’s note: Verna, our great-grandma author/blogger, tells this sweet story about playing the game of “drop the handkerchief” as a child. Much later she learned the original meaning of the child’s game. Our relationships with our mothers are a little like that game: In later years we may look back on our childhood interactions with our mothers and realize that the daily give-and-take was really about love: dropping hints, picking up words and habits and challenges, running with longing and hope, and making memories that would last a lifetime. When I was very young, family size was large, and houses were small. Children spent most of their days playing outdoors in the street or vacant lots. My favorite game was “Drop the Handkerchief.” As I recall, we formed a large circle, then the person who was “it” walked around the outside and dropped a square of white cloth to the ground behind whomever they chose. That individual would pick up the hanky and chase around, racing to see who could occupy the vacant spot. It was exciting and great fun! The year a deep depression hit the entire country, we had few luxuries. 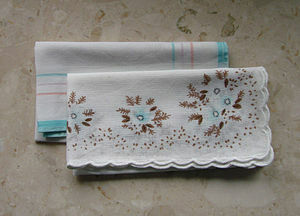 Mother’s only hobby was collecting fancy handkerchiefs. She had a few from her youth–fancy white squares of delicate cloth with colored lace trim and embroidery in one corner. She kept these treasures in a drawer, neatly folded, with perfumed sachets. I recall her loaning one with delicate blue hand-crocheted trim in fine thread, for me to carry on my wedding day. Never, ever was one of these hankies used for a practical purpose. “You think the game I played all those years ago came from that?” I asked. I laughed. To think that all those happy hours when I chased a boy around in a circle I was really playing a “Game of Love” and didn’t know it. 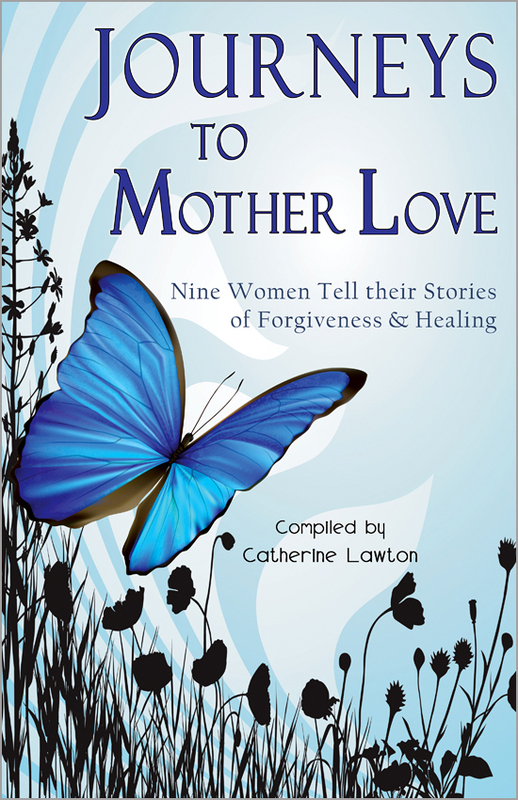 Verna, I’m glad you are part of the book and the blog. The younger generations can learn much from the attitudes, values, and hard-won victories of the older generations. What a fun story! I’ve always liked hearing stories that people tell from their childhood – and those from a different time period especially. Thanks for sharing one of yours! I enjoyed your story. We all benefit from remembering the simple joys of life. Thank you this enchancing post. I should never write late at night! What I meant to say was: “Thank you for this enchanting post.” Please excuse the mistakes. I looked up the word “enchant.” The second definition is: “to delight in the highest degree.” Your post is delightful! Thank you once again for sharing. arcecil.